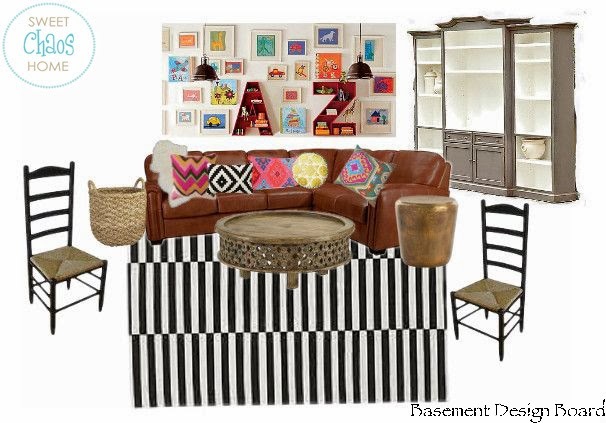 It's been awhile since I've updated you on the basement progress. I quickly snapped a few pics to show you how things are shaping up. I picked up this rug on my IKEA road trip. It wasn't quite the screaming deal that I got on this one, but it was reasonable. I also purchased a bunch of IKEA Ribba frames in various sizes to create a gallery wall of my kids' artwork. The art is in the frames. Now I just need to get it on the wall! 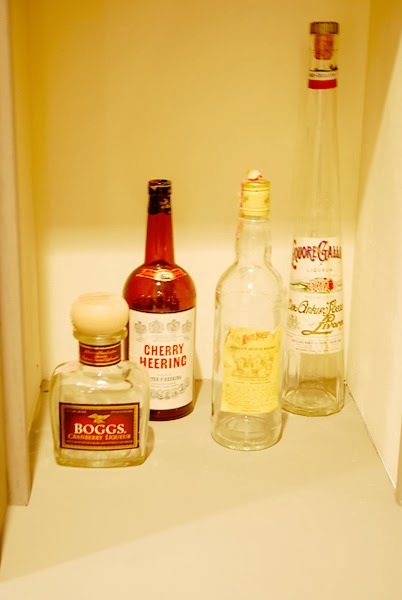 We cleaned out our bar one day, and I found several old liquor bottles that were waaaaay past their prime. I believe we had inherited the alcohol years ago when my parents moved. And, who knows how long these bottles had been in their bar?! I'm fairly certain I have never had a drink of Cherry Heering in my life. I like the look of the bottles though, so I cleaned them out and displayed them on a shelf. The little boxes above came from Home Goods. I figured they'd be good for storing decks of cards and other small game pieces. It looks like it is shaping up nicely. 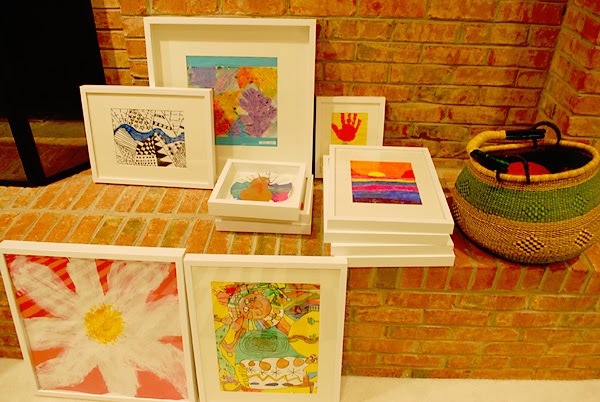 I really like how you will use your children's artwork for your gallery wall. I like the direction you're headed with this space, Carolyn! 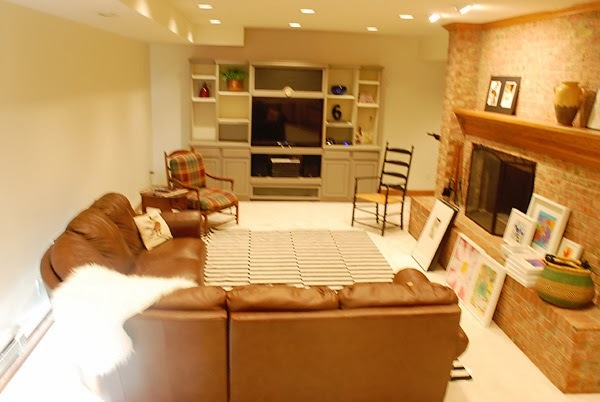 Such a great room for movie nights and sports! I am loving the progress of the room. 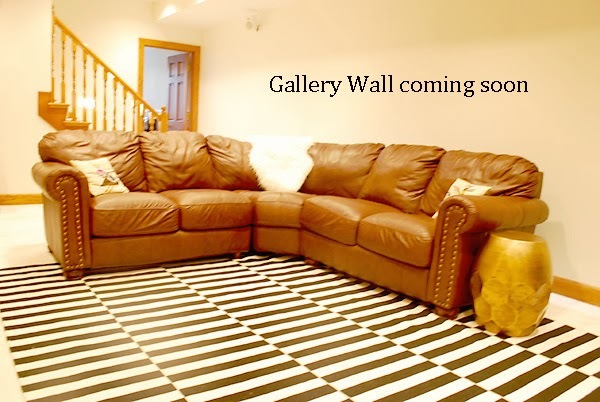 Looking forward to seeing the gallery wall. 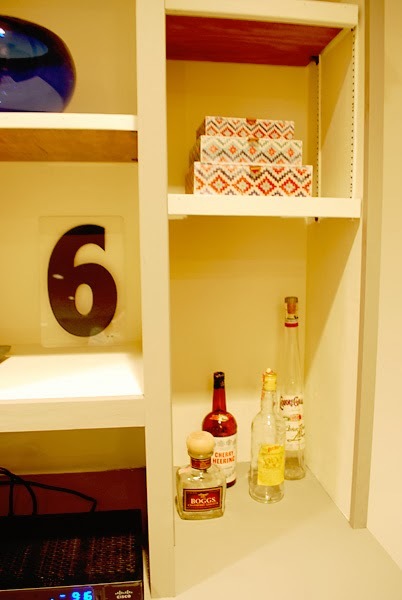 LOVE what you've done so far & I've almost purchased those boxes at HomeGoods a few times now!